Car recalls are no longer making headlines in India, the world’s fifth-largest car market. After hitting a record high of almost a million units in the calendar year 2015, recalls are down to just about 70,000 vehicles so far in 2017. This is less than one-tenth of the 772,313 cars recalled in 2016. This is also the lowest number since 2012, when the industry started doing voluntary recalls, and comes even as the volume of sales is on the rise. 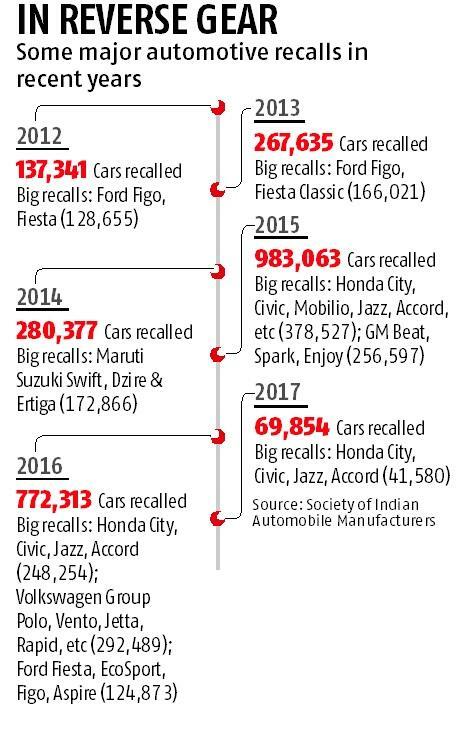 A total of 2.44 million passenger vehicles (cars, utility vehicles, and vans) have been recalled in the country between 2012 (when the industry’s apex body, the Society of Indian Automobile Manufacturers, came up with a voluntary code) and 2016. These recalls happened without a mandatory recall policy and almost every car maker, big or small, has had a recall. This number is significant, considering that annual sales of passenger vehicles averaged 2.6 million units during the period. The sudden decline looks interesting and comes when the government is close to forming a recall policy. The Lok Sabha passed the Motor Vehicles Amendment Bill, 2016, early this year and it is pending for approval in the Rajya Sabha. Once this becomes a law, the process will be streamlined and the government will be able to order a recall and penalise the manufacturer. The last sizeable recall happened in March this year, when Japanese car maker Toyota recalled over 20,700 units of its Corolla sedan manufactured between 2010 and 2012. Since a large number of global car makers are present in the Indian market, some of the global recalls also have a bearing on local operations since suppliers of many parts are common. But recalls also happen due to parts that are sourced locally. Recalls carry a cost and they upset regular business at dealerships and workshops. Manufacturers, therefore, work more closely with vendors to ensure a high degree of compliance with quality in processes. R C Bhargava, chairman of Maruti Suzuki, which commands a 50 per cent market share in passenger vehicles, says that quality audits of vendors have been intensified in recent times. “For the past two-three years we have had stringent vendor quality audits to improve the consistency of inputs supplied. This has become a regular exercise. Companies are probably taking more care about the quality of vendor parts by having processes in place,” he said. In 2014, the Suzuki-promoted company had recalled almost 173,000 units of the Swift, Dzire, and Ertiga. Most of the recalls happen because of deficient-quality stuff supplied by small component vendors. It is these vendors who, in most cases, have to bear the cost of the replacement of components during a recall. The two major recalls of 2016 were by Japanese carmaker Honda (248,254 vehicles) and the Volkswagen group (292,489 units). 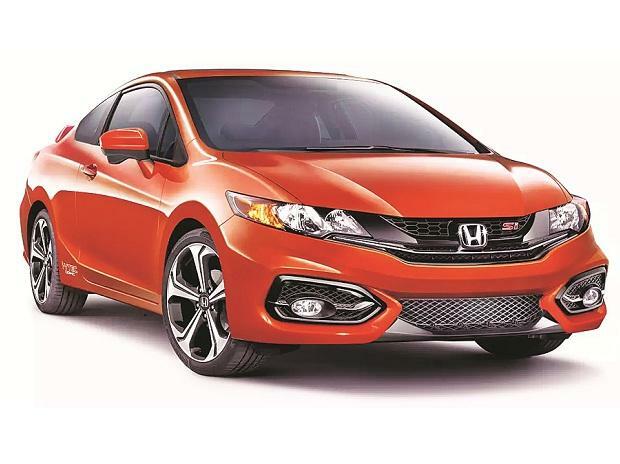 “Sixty-70 per cent of the recalls last year were parts of two global recalls due to an airbag malfunction (Honda) and non-conformity to emission standards (Volkswagen). No higher volume model has not been recalled in the current year,” said Ashim Sharma, principal and division head (auto, engineering & logistics), Nomura Research Institute India. Sharma also said the efforts of car makers and suppliers to ensure quality improvements, along with lessons of failures, played a key role in ensuring the same defects did not recur.